Signaller is a CanBus or Relay connection secondary driving control system. Up to 17x electrical driving functions from one easy, quick installation location. 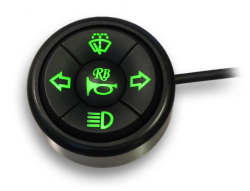 Illuminated keypads and/or RF (radio frequency) remote control and/or standard push bump buttons. HC-6 – A 6 button hard-wired illuminated console Keypad. All buttons are silicone rubber icon switches and back-lit for night viewing. HC-6 can activate up to 12 electrical functions and is also used for RB products Programming and diagnostics. 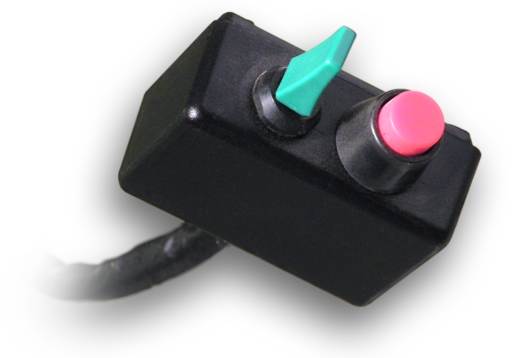 HC-5R – A 5 button hard- wired, round, illuminated keypad device capable of 10 electrical functions. 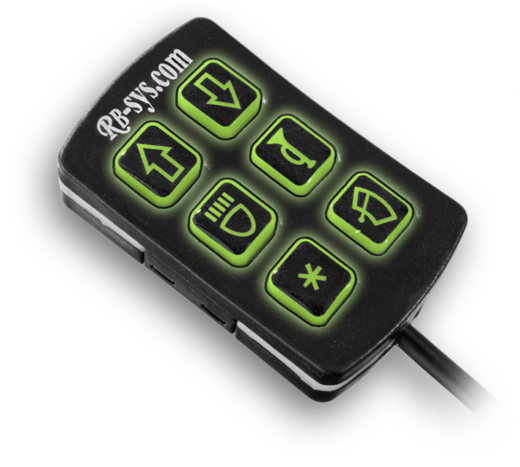 RC-5 – A 5 button RF Remote Control keypad. RC-5 is a stand-alone unit powered by a lithium battery (lasting 18 month). 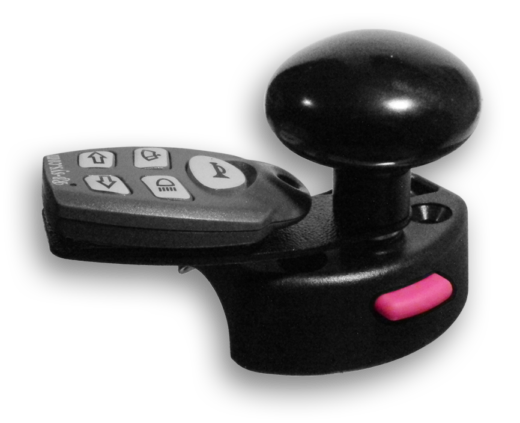 It can to be mounted to the steering wheel or to a Spinner knob adaptor for easy operation. RC-5 is capable of operating 10 electrical functions.